Exclusive Interview: Tom Woodruff, Jr. talks Fire City: End of Days! Hi, Tom, thanks for doing this interview. First, would you like to tell our readers a bit about the world and the story of Fire City? In the broadest sense, Fire City is the world of demons that exists parallel to ours but on a different level, in a different dimension. It‘s a world of evil creatures that generate some of the misery that plaques mankind and is their source of food. They feed of the mystery of humans. And while they appear to us in our world as everyday human beings, albeit with much to be scorned, in their own world they see each other as the monsters they really are. The film’s your first work as director. Tell us how you came to directing, and what attracted you to this project. Scripts for projects come to us all the time at ADI. A huge project titled, Fire City made its way to us a few years ago. It was so interesting a world that lay hidden right next to ours yet invisible, and a world of demons and monsters at that. But it was huge, as the writers/producers well knew. Imagine reading the world of Star Wars in script form before anyone had an inkling of the size of that world and how far the stories would reach. Their goal was to get a single demon creature created for a trailer to help sell the project. I loved the project and it satisfied what I was looking for in finding a project that attracted me to story as much as characters. And in an effort to give them a great creature character for next to nothing, the door was opened for me to tell them what I’d like to see in return – the opportunity to direct a trimmed down prequel version as an introduction to that world. 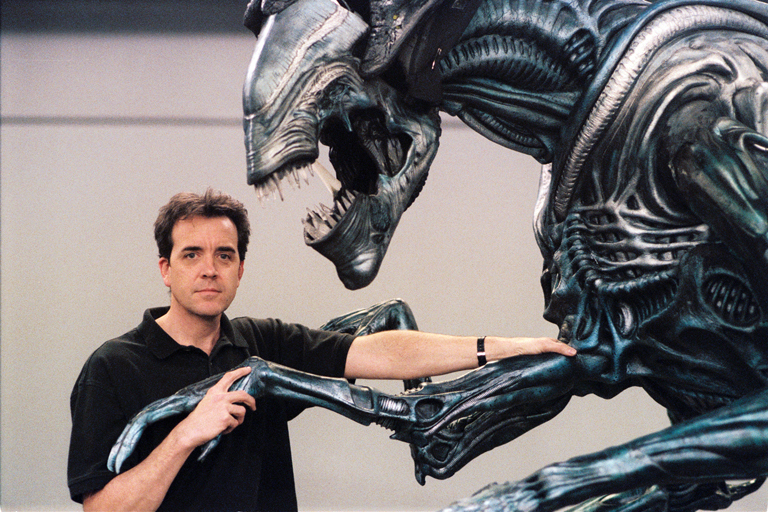 You’re best known for your special effects work on Predator, The Terminator, Starship Troopers and Spider-Man, as well as playing the Xenomorph in four Alien films. What new challenges did directing present for you, and how did your background help you with them? The daily, moment-to-moment decisions are not vastly different from those I have been making in art-directing crews of all sizes over the last 30 years. The freedom was being able to make a lot of those decisions at a macro level, controlling not just the special creature characters, but the lives and interactions of all the characters and the world in which they lived and keeping everything together on the strands of a very specific concept that is necessary to making something like this believable and entertaining. Directors with an effects background tend to make visual-effects films – James Cameron, say, or The Brothers Strause – whereas Fire City is low-key and intimate. Was that always going to be your approach, and why? 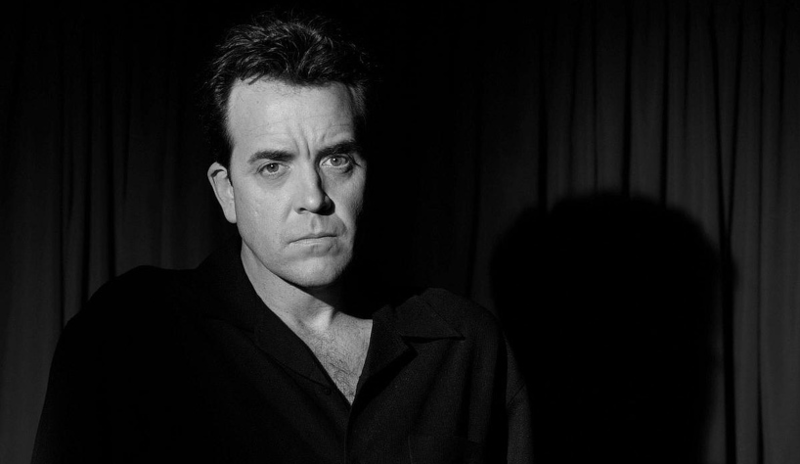 From the very beginning, the script was written almost as a homage to the noir films of the 40’s. These are mostly gritty characters that drive the story in a seedy world. My approach was always to focus close and tight on the characters in that intimate way. The creature character work, my life’s work, had to hold its own. But knowing we were going to be shooting on a shoestring, they were going to be down and dirty and because of the dark noir style, it made sense to keep them in the realm of characters and not visual effects. What directors did you look at as influences? I think there is a piece of every director who’s worked I’ve ever loved and director’s with whom I’ve worked. But once that gets inside, those moments gel together in a very different way according to how I interpret my film so there is not a lot of one-to-one influence from any one specific director that didn’t get dragged through my filter. The creature designs in Fire City had to be effective, and highly practical, on a limited budget. Did you oversee their design and creation, and how did they contrast with work you’ve done in the past? My plan was to have a strong hand in designing the characters but turn the actual production work over to a crew assembled by David Woodruff. There was a lot of support coming from the team he assembled of very skilled and experienced, like Academy Award-winning Dave Elsey to fresh new talent. But everyone came in at low cost and, in some cases, no cost. But in watching the behind-the-scenes footage on the DVD, I’m surprised to see how much sculpting, make-up tests, and details I still had my fingers into. As a performer, you’ve been the Xenomorph, the Creature from the Black Lagoon, Pumpkinhead, Batman, various gorillas…did you find that your own experience informed the physicality you expected from your actors? My experience with that style of acting helped inform me on how to communicate movement to the actors, especially when I needed specific things to happen out of the blocking. I found that if I could give a quick reason why I was looking for something specific, it seemed much more organic for the actor to pull it off rather than mechanically positioning them on set. Your new film was funded on Kickstarter, while at the same time you’ve been working on major studio films like Percy Jackson, The Maze Runner and Batman vs. Superman. What have you found different about the indie/crowdfunded approach, and how do you prefer working? I’d love to drop somewhere in between where I would have enough funding to give me time to develop characters on set but not so much that I need to satisfy a team of producers and studio executives that come with a major studio project. I could have used more time on Fire City for basic editing by getting more coverage and inserts and needed materials like that. The Fire City concept has already spawned a short film and an upcoming feature. Are there plans to build a franchise? The franchise world was always a target for Fire City from the very first teaser trailer that was produced using our budget-minded demon build. While we’re here, can you tell us anything about your work on Batman vs. Superman? There’s a Batman vs. Superman coming out? Unfortunately, I can only give you a head’s up that it’s a small contribution to the film but a valuable asset. What other projects have you got lined up in the future? Well, if my future plays out the way I’m hoping, I get to crack that elusive $5M-$10M genre creature budget next. There is a small slate of projects that I’m developing and in some cases scripted and budgeted and hoping to align myself with equity funding that can read the writing on the wall and see how big the monster movie world can really be. Fire City: End of Days is out now on DVD and Digital from Uncork’d Entertainment! Will you be checking it out? Let us know in the comment box below!